I've been thinking about this a lot as I am visiting many, many museums during a West Coast trip. Usually a combination of my AAM card and/or my business card and/or turning on the 150 watt charm gets me into the particular museum for free. Not always, but the vast majority of the time. But that works for me, not just anyone who shows up at the front desk. 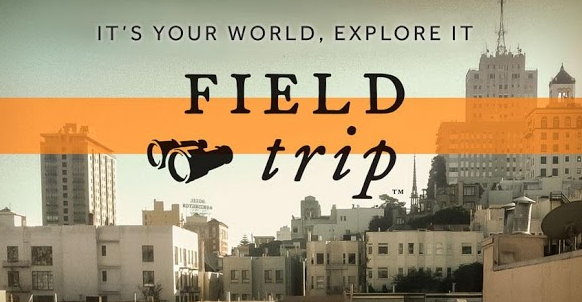 I recently downloaded an app called Google Field Trip onto my iPhone. It uses your location to suggest nearby cultural or historical or theatrical attractions that you might like to visit or explore. As a bonus, Google has partnered with some museums (mostly right now on the East and West Coasts) to offer free admission to the highlighted venue. So this weekend as I was ambling aroung Golden Gate Park in San Francisco, my iPhone pinged me to let me know that I was near the de Young Art Museum and could get free admission there by showing the front desk staff my Google Field Trip screen. Cool right? Who doesn't like free stuff? Inevitably friends or neighbors who know I work in the museum business will say, "I love it that all the Smithsonian Museums in Washington DC are free." Of course, I explain they're not really free since our taxes help to support the Smithsonian, but to most non-museum people it still shakes down the same way --- they think museums cost too much, and they would prefer (and practically expect) that museums should charge no admission. Elaine Gurian has made a passionate case for free museum admission (you can check out her thoughts on her website.) Her basic premise (which I agree wholeheartedly with) is that free museum admission will build broader and more diversified museum use. On the other hand, it costs money to run and staff museums, so where will that "missed" admissions revenue be made up? Jamie Glavic of the Museum Minute blog has written an equally passionate post defending the 9/11 Memorial Museum's decision to charge admission. It's tricky isn't it? The Web and smart phones and streaming technologies have given us an expectation that we can latch onto any kind of content for free, whenever and wherever we like. Does that mean that museums should become "free" also?